You can’t buy the games anymore, but if you already own them, Epic claims it will keep supporting 2013’s Infinity Blade III with updated Clash Mobs and “other surprises” throughout the next month. For that matter, you can also download a free collection of Infinity Blade stickers from 2016. Epic also said “You may find Infinity Blade popping up in places you wouldn’t expect.” Well, it’s already popped up in one place anyone familiar with Epic would totally expect. 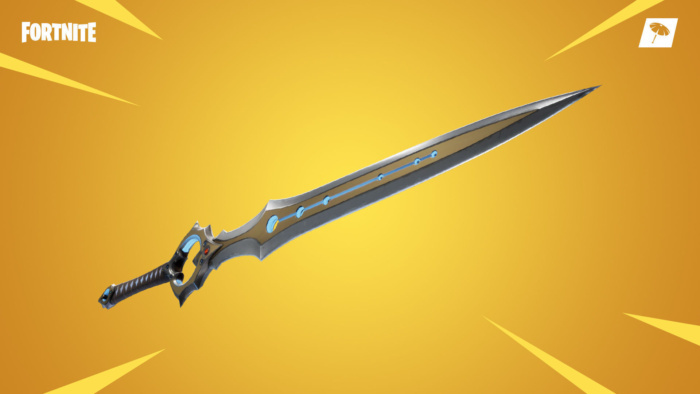 The titular blade is now in Fortnite, where it makes players ridiculously powerful, much in the manner of the Infinity Gauntlet that Fortnite briefly introduced following the release of Avengers: Infinity War last spring. It’s not all that uncommon to see games disappear from the App Store, especially when they’re relatively obscure. 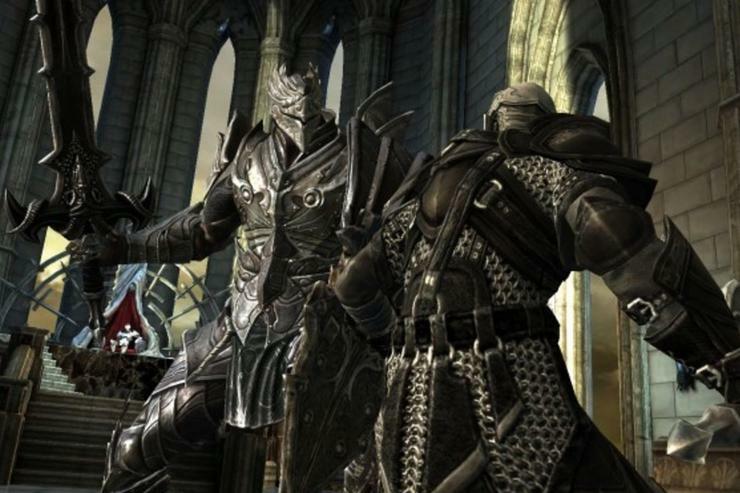 But Infinity Blade, developed by Epic satellite studio Chair Entertainment, is a piece of iOS history. As you can see below, for years it was the game Apple showed on stage when it wanted to showcase the graphical prowess of the iPhone. 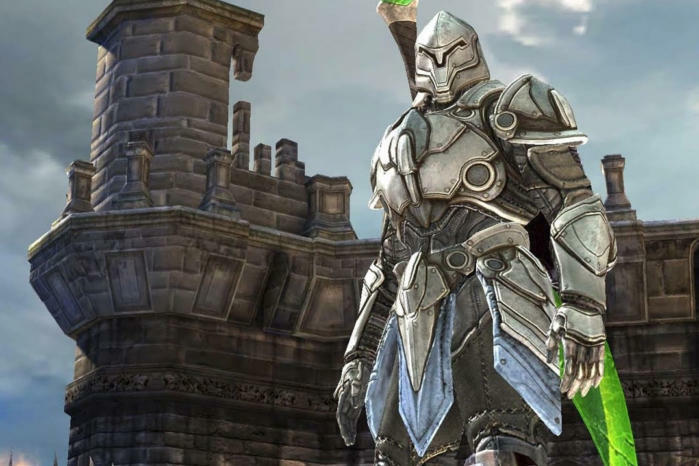 In the early years of this decade, Infinity Blade looked breathtaking, and even now the series can hold its own with a wide selection of console games. More than that, though, the Infinity Blade games were actually fun. So many other ambitious mobile games rely too heavily on the traditions of console and desktop games, which don’t always translate well on an iPhone without a gamepad. Infinity Blade let you swing swords with swipes of your finger. It let you block with carefully timed taps of your thumbs. It made you look cool while doing it. It understood mobile games. It’s still common to find the series on lists of the best iOS games available, even five years after Infinity Blade III’s release. Indeed, before the page went down, Infinity Blade III still commanded an impressive rating of 4.6 out of five after 2,775 reviews. The removal especially stings because the announcement came from Epic. In July research firm SuperData estimated that Epic’s wildly popular battle royale shooter Fortnite had generated more than $1 billion in revenue. By virtually any estimation, that seems like a sufficiently healthy wad of cash to justify keeping a game listed on the iOS App Store and keeping track of a few microtransactions. There’s also little evidence that Infinity Blade was suffering from any changes in iOS 12. Considering that the Infinity Blade games survived iOS’s transition to 64-bit apps, one would think the largest hurdle for support was behind it. For that matter, the removal comes mere days after Epic Games announced that it was launching a new Epic Games Store for distributing third-party games, largely in response to the 30 percent cut that rival Steam has long taken from most developers. Epic, which already sits on a massive pile of cash, instead charges only 12 percent. Importantly, 30 percent is also the cut that Apple also demands from developers who host apps on the App Store. That’s occasionally been the subject of some controversy, most recently in the form of a “Developer’s Union” that formed before this year’s WWDC. Sure, Fortnite remains on the App Store, but there’s at least a small possibility that Epic removed the games partly in protest of Apple’s fee. After all, Epic was the publishing house that entirely avoided the Google Play Store when it ported Fortnite on Android in an effort to avoid Google’s fees. Anyone who wants to play it needs to sideload the popular app. As we all know, that’s not possible on iPhones without jailbreaking. It’s also simply possible that the Infinity Blade games weren’t selling enough copies to justify performing the modicum of work required to keep them current for each new iPhone or iOS release, but that also points to the problem of game preservation on Apple’s App Store. Unless you’ve already bought the Infinity Blade games, they’re gone. You won’t be able to download them again. Maybe we’ll see them again on the Nintendo Switch. Maybe, bizarrely, we’ll see them on PC or—even more bizarrely—downloaded through an independent app store Epic eventually may make for Android players. But no matter how you look at it, it’s a sad day for the iOS App Store. If you’ve already bought the Infinity Blade games, you can download each of them on your iPhone by heading to the App Store app, tapping on your portrait in the upper-right corner, then Purchased, My Purchases, and searching for “Infinity Blade” at the top. The games should all appear, and you can then download them like normal.